Welcome to the Carolina Center for Comprehensive Dentistry. Whether it’s been a while since your last check-up, you have a toothache, you are looking to get established with a new dentist or are seeking out the expansive expertise Dr. Lineberry has in complex dental procedures, we want you to feel welcome and comfortable. This is a fresh start with no judgement of any past care you have or haven’t had in regards to your oral care or lifestyle choices you have made. We simply want to provide you with the best care possible moving forward to help you improve your health and get the smile you have always wanted. Our goal is to provide you with a positive dental experience from the moment you enter our office. You will be greeted warmly in a comfortable, home-like setting as we begin our journey to get to know you. If you haven’t already filled out your new patient forms, we’ll provide you with a copy. If you would like to print them out prior to your appointment click here to download our New Patient Forms. Your dental treatment plan will be catered toward your specific goals, but first we need to get to know you to develop a plans that fits into your needs and lifestyle. For new patients, a nurse will take you back to get a full set of digital x-rays, including bitewings and a panoramic view. The bitewing x-rays focus on your teeth and gums to help detect any signs of tooth decay, infection or gum disease. Panoramic x-rays, however, provide a broader picture of your oral health, including the soft tissues surrounding your teeth to identify impacted teeth, tumors or any other abnormalities that may exist, indicating a deeper impact to your overall health. After your x-rays, you will be taken to an exam room where Dr. Lineberry will meet with you to discuss why you came to the dentist, your goals for your smile and health, any concerns you may have and your medical history. Dr. Lineberry will review your x-rays and conduct a thorough oral exam. By providing comprehensive dentistry, we don’t just look at individual teeth and specific issues, but instead strive to get a full picture of your oral health and seek out any factors that could be influencing your overall health. Dr. Lineberry will inspect your mouth, teeth, and underlying structures to look for any potential issues, such as tooth decay, issues with past dental work, gingivitis, gum disease (periodontal), or any sensitivity you may be experiencing. He will also examine the muscles surrounding your mouth, provide an oral cancer screening, and inspect the soft tissues of your mouth (tongue, cheeks, roof of mouth and back of mouth). 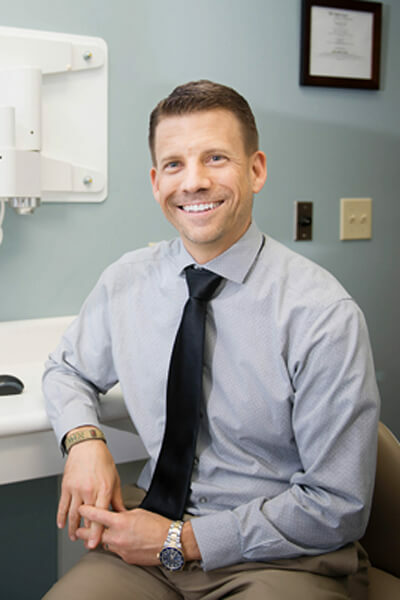 With a complete picture of your oral health, Dr. Lineberry will discuss treatment options and recommendations based on getting the smile you have always wanted, what your goals are, lifestyle needs and financial circumstances. Have any questions about insurance and coverage? Just ask. We will also provide detailed cost estimates for all recommendations and treatment options.